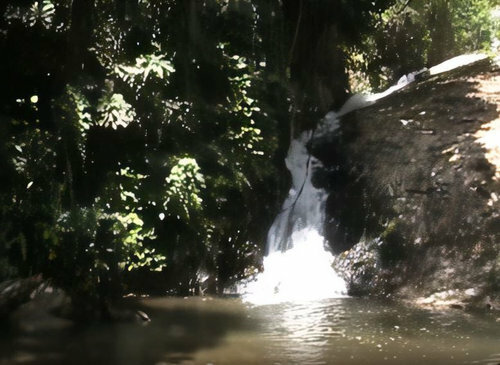 This lovely waterfall has been named after the Durian trees that bear spiny oval tropical fruits and can be found in abundance around this waterfall area. 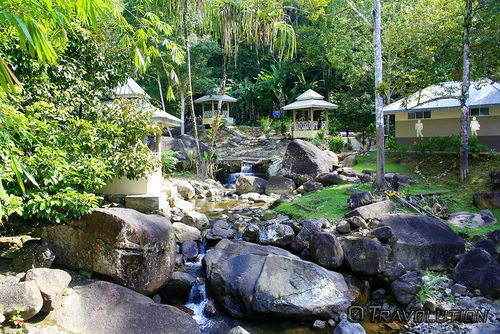 Durian Perangin Waterfall is located at the north eastern side of Langkawi and north of Kilim Village. The entrance is from a car park and through small shops and stalls. As you climb a short flight of stair from the entrance, you will see a lovely hanging footbridge amidst lush greenery and rock formations. Once you cross the bridge, a clearly marked pathway leads to the various tiers of the waterfall. Durian Perangin is a 14-tier waterfall, which means that you can view different sections of the falls at various altitude levels. Each section of the fall is wonderful and most having formed a natural pool at its base where you can choose to take a dip or swim. The water is clean and crystal clear in all the pools. The waterfall comes down the northern slope of Gunung Raya which is the highest mountain in the island. The walk is through the wonderful forested parkland which is full of lush greenery, rock formations, flora and fauna. Along the way you will see different kinds of trees including the Durian tree, money plant creepers, Periang, Rattans, Rengas, Temak and more. Look around and you will be thrilled with the bird life here. There are ample gazebos or hut like structures created along the way where you can take rests. In fact the forested place, particularly the gazebos by the side of the waterfall are favorite picnic spots for the local families. During the weekends, you will find lots of families with kids here enjoying the ambience and food. However during my several visits to the falls, I found the entire parkland quite clean and well maintained. The hike to the upper most falls requires a little climb, but not very difficult. 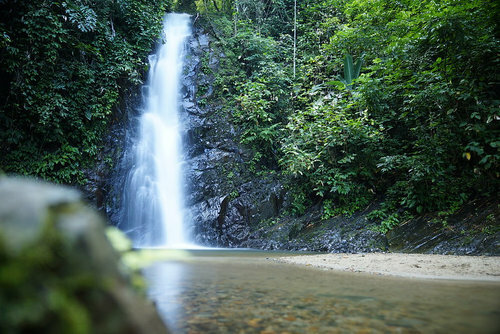 In fact Durian Perangin is considered the third most difficult waterfall to trek in the island. However the walk to the lower fall area is quite short. There is a small bridge there going over the water stream that flows out of the falls. The bridge often remains broken, so be careful. From the uppermost waterfalls, the view all around in wonderful. You can see the green fields and even the coastline far away. Entry is free and you can visit Durian Perangin Waterfall anytime during the day time. However the best time to visit would be during monsoon time (September - October) when the water gush is at its best. During the peak summer & dry season, you may not find much water. The car park area has several small stalls and shops selling souvenir items, hats, clothes etc. There is also a shop selling snacks, cold drinks and ice creams. On your way back, you can have some drinks or ice cream from the store and enjoy a refreshing respite from the scorching sun. There are toilet facilities here (just after you cross the foot bridge from the entrance). Durian Perangin waterfall is located at the north eastern side of Langkawi and further north of the Kilim Village, off the road Jalan Air Hangat. 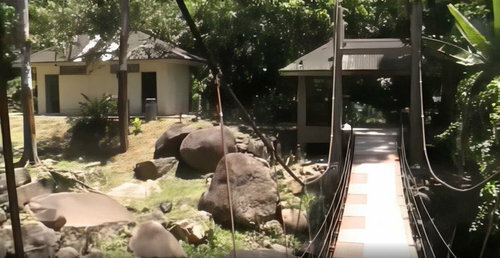 The distance from Kuah town is about 16kms. You can easily take a taxi or a rented car/bike to come to this place. Keep the taxi waiting or else you won't get any transport from here for your return. 2) Air Hangat & Kilim Attractions: All the nearby attractions in the area. 3) Air Hangat & Kilim Guide: Nearby activities, hotels, restaurants, shopping, nightlife etc.